Since the first session of the 115th Congress convened on January 3, 2017, twenty-four cannabis reform bills have been introduced, fifteen in the House and nine in the Senate. All of them address in varying ways the puzzles that have emerged as more and more states legalize cannabis in the face of federal prohibition. Some are narrow, some are broad, some are for medical cannabis only, some for recreational too, some have more bipartisan support than others, but all indicate in some manner the direction federal reform will eventually take. Understanding the content and status of these bills and what they would mean for the industry if/when they are enacted, will help stakeholders anticipate changes that we know are bound to drop, and therefore be better prepared to adapt to them when they do. Generally lacking in the journalism on cannabis is coverage and analysis of federal proposals deep enough to provide a useable understanding of the policies they stand to codify. As CIJ is dedicated to providing just such useable information to industry-insiders, this bill-by-bill review fills the gap. All twenty-four bills fit rather neatly into one of three categories: De-scheduling/State Control Reform, Medical Cannabis Reform and Banking/Tax Reform. This second article in the series will look at the first category, and the next article will wrap up the last two. Policy: The bill proposes two major changes to the CSA. The first is to strike cannabis from the statute, essentially leaving the regulation or prohibition of it up to each state. The second is to insert into the CSA a provision that makes it a federal offense to transport cannabis from one state to another in any way that violates state law. In other words, if a state wished to continue prohibiting cannabis, it would be both a federal and state crime for anyone to transport cannabis into that state. Likewise, if a state wished to legalize and regulate cannabis, but wanted to prevent out-of-state cannabis from entering, the transportation provision would permit that state to do so. Impact: Industries in states that have already legalized cannabis will structurally remain the same. Banking will open up for these state businesses, and so will the opportunity to write-off ordinary business expenses. Questions about contract enforcement and risks of federal prosecution will become moot, and when state regulatory bodies make decisions on how to govern the industry, they will no longer have to concern themselves with U.S. DOJ enforcement and/or prosecutorial policies. The big potential change will be seen if two or more contiguous states that have legalized cannabis decide to permit transport of the drug between their states. Markets will expand, opening access to new customers and challenges from new competitors. Licensees may also have the option to venue shop, and we could see states themselves competing with one another to attract cannabis business with the carrot of favorable regulations. One possible pitfall to keep in mind is that this legislation could violate something in constitutional law known as the Dormant Commerce Clause—a topic CIJ will cover should it surface. Policy: This bill would add to the CSA a provision specifically declaring no congressional intent to preempt state cannabis laws. Impact: HR 2528 would rule out the potential for a judicial resolution to the federalism controversy. Most legal challenges to state legalization regimes have relied on a theory of Supremacy Clause preemption. Most notably was the 2014 case initiated by Oklahoma and Nebraska against Colorado, which you can find broken down here. Although the Supreme Court denied to hear that case, the issue is outstanding and remains an important factor, if not the central factor, in cannabis cases currently pending in federal court. Under this reform, state cannabis laws would be safe from invalidation, but it is less clear whether a mere anti-preemption clause would strip the federal government of its other powers under the CSA, or alter in any way the current status of cannabis as a Schedule I controlled substance. Questions arising under such uncertainty would likely have to go through long and hotly contested litigation before we have concrete answers. So although this proposal would resolve the ticklish issue of preemption, it leaves unaddressed the many other conundrums posed by federal-state divergence. Policy: This bill sets to accomplish a number of different reforms: remove cannabis from CSA; allow for import and export except into states that wish to prohibit cannabis altogether and/or prohibit its importation into the state; decriminalize cannabis use on national forest land; require a permit from the Secretary of the Treasury to import cannabis and to engage in any cannabis business activity; mandate businesses that obtain a Treasury permit to also comply with all State laws (so if state wants to continue to prohibit, they may); share jurisdiction over the administration and enforcement of the new federal laws between the DEA and the Bureau of Alcohol, Tabaco, Firearms and Explosives which is to be renamed the Bureau of Alcohol, Tobacco, Marijuana, Firearms and Explosives. Impact: If enacted, this bill will have many of the same impacts as the abovementioned HR 1227- Ending Marijuana Federal Prohibition Act of 2017. The IMPACT section for that bill will also pertain to this bill, with the following exception: by requiring a permit to operate a cannabis business from the Department of Treasury, the bill would add a layer of regulation on top of state law. Treasury Permits would be conditioned on permitees complying “with all other Federal laws relating to production, sale and consumption of marijuana.” Although §302 of the bill limits Treasury’s discretion in denying applications to only certain, enumerated disqualifying factors, the “other Federal laws” the bill refers to could embody any number of policy and jurisdictional preferences either enacted by the Congress or promulgated by the executive agencies charged with administration. At the current stage of speculation the best we can say is that descheduling cannabis under this bill would be a benefit to the industry, but out of all of the present proposals the provisions authorizing federal regulation present the greatest uncertainty for the shape the future of the industry might take. Statute: Adds one sentence to the CSA that excludes its application to any person acting in compliance with State cannabis laws. Impact: The bill would have the same impact as the above HR 1227 – Ending Marijuana Federal Prohibition Act of 2017, with the only exception that the transportation provision in HR 1227 makes it clear that states will be permitted to prohibit the importation of cannabis from other states if they want to. 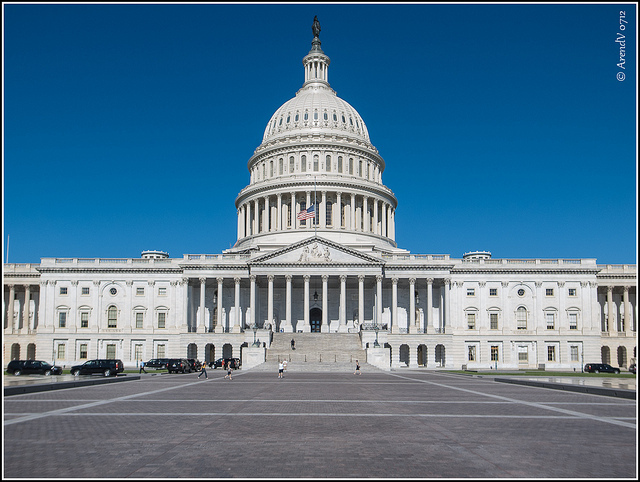 This bill, without speaking directly to the matter of interstate importation, could leave the question open-ended until resolved through judicial interpretation. On Tuesday, August 1st, Senator Cory Booker (D-NJ) introduced the twenty-fourth cannabis reform bill. The bill has yet to be assigned a number or referred to committee, but it is called the Marijuana Justice Act of 2017, and makes some interesting contributions to the lineup of reform proposals. For legalization purposes, the bill both removes cannabis from the CSA and removes prohibitions on importing and exporting. The above analysis for descheduling and import/export would apply to Booker’s bill in the same way. The interesting twist thrown in is how criminal and racial justice objectives are linked to incentives for states to legalize. The ultimate decision to legalize or not in a given state will continue to be the prerogative of each state, but the catch is that if a state does not legalize cannabis and the number of arrests for cannabis offenses in that state disproportionately impacts minority or low-income citizens, then the federal government will pull funding it provides to that state for criminal justice-related programs. This could push more states who would otherwise not legalize onto the reform bandwagon. Such states will have to pit how much they value federal funds against how much they value criminalizing cannabis. If the former outweighs the latter, policy logic will dictate that they legalize. Updates on this bill, and movement on any others, will be tracked by CIJ. For the next piece in this series, we will review the bills currently pending in Congress that cover medical cannabis reform and banking/tax reform. Stay tuned for the latest on what’s happening around Capitol Hill and in federal cannabis policy circles.